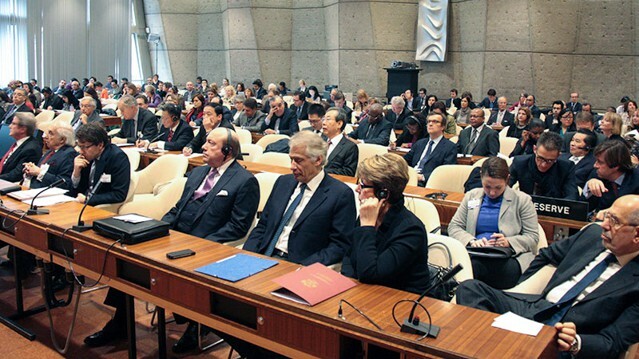 As part of a new series of events organized by the United Nations University in collaboration with UNESCO, a group of eminent personalities and academics gathered in Paris on 27 February 2014 at a one-day conference entitled “Wars in the 21st Century (2001–2014)”. The discussions were wide ranging and covered the responsibility to protect, sovereignty, and long-term responsibilities of the international community. Wars are part of men’s destiny and are thus, always a topical subject. As Albert Camus once said: “History is both exciting and frightening.” Wars often follow the changing tides of the eras they affect. Totalitarianism, fascism, and major wars blighted the last century. The French writer Gustave Flaubert, who travelled with ease between epochs, had foreseen the return of race wars and the emergence of monstrous conflicts in the Twentieth Century. But wars have not ceased since we entered the new Millennium: Afghanistan, Iraq, Libya, Mali, Somalia, Central Africa, Syria, etc. Classic interstate wars have given way to decentralized wars that often escape from the control of the major powers. These new wars are just as tragic (200,000 dead in Syria) as the old ones. How can the international community react to these new types of conflict? What is the current situation regarding the duty to intervene and the responsibility to protect? Where does the sovereignty of states lie? Can we wage war “against evil”? 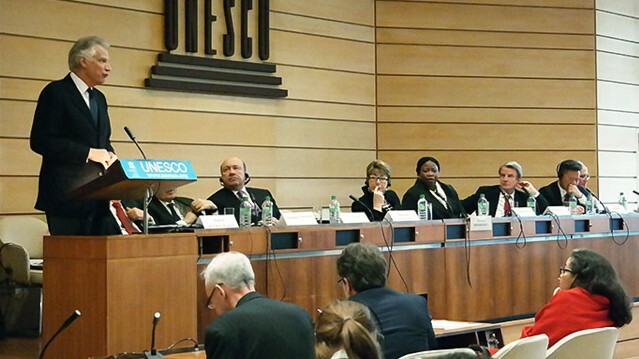 These questions were debated throughout this one day conference, which was a big success and was attended not only by the majority of the UNESCO accredited ambassadors, but also by a distinguished audience notably composed of students from Sciences Po and the Ecole Normale Supérieure. The conference was attended by a large audience and attracted the attention of the Medias, such as the national newspaper Le Figaro. See the Related Files tab for the event’s full program and background information. 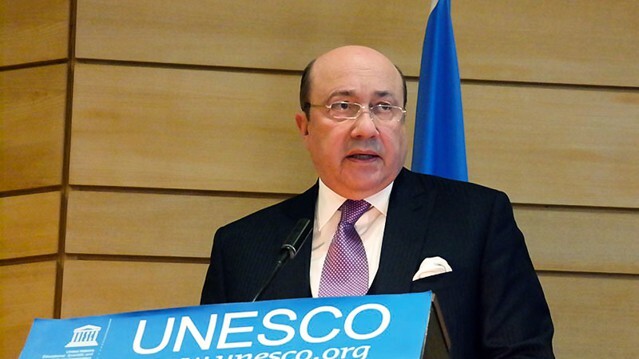 Daniel Rondeau, UNU Representative at UNESCO, Writer, former ambassador of France to Malta and UNESCO.